Part 1: Check in. 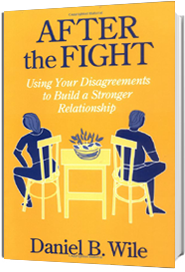 Participants discuss Collaborative Couple Therapy issues that have arisen in their professional and personal lives. Part 2: Didactic component. 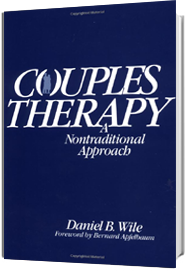 An aspect of Collaborative Couple Therapy is presented that has implications for clinical practice. Part 3: Case consultation component. Emphasis in this case consultation will be on the organizing issue of the session, that is, the aspect of the approach discussed in the didactic component. Part 4: Demonstration and practice component. 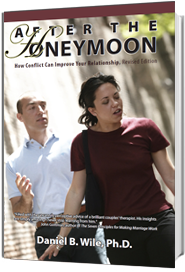 The discussion of each case will include formal or informal role-plays with the leader, and any of the participants who wish to do so, playing the part of the couple therapist, with emphasis on the organizing issue of the session. Collaborative Couple Therapy Seminars is approved by the California Psychological Association (CPA) to provide continuing professional education for psychologists. The California Board of Behavioral Sciences (BBS) now accepts CPA continuing education credit for license renewal for LCSWs, MFTs, and LPCCs. Collaborative Couple Therapy Seminars maintains responsibility for this program and its contents.